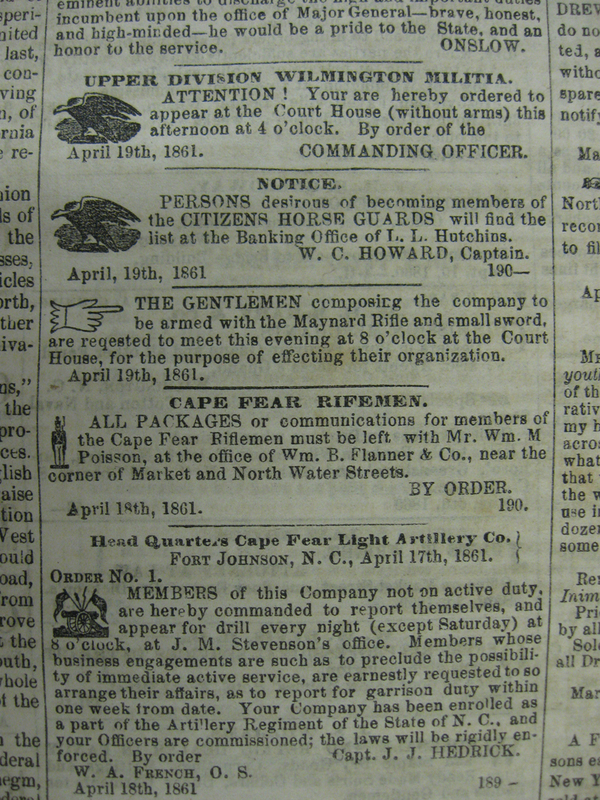 Item description: A selection of articles from The Daily Journal (Wilmington, North Carolina) for 19 April 1861. 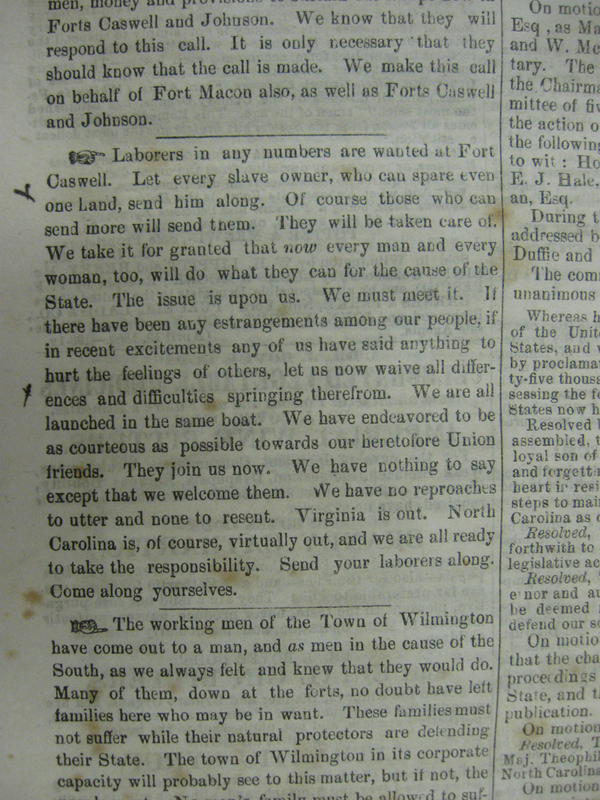 Topics discussed are: laborers wanted for work at Fort Caswell, mobilization of troops, a report of a song that was performed in Montgomery, Alabama, and the calling out of local militias. 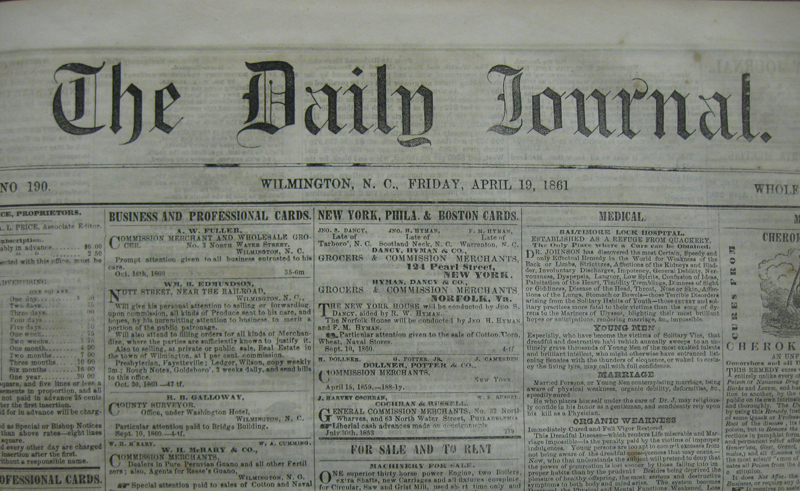 Item citation: The Daily Journal. 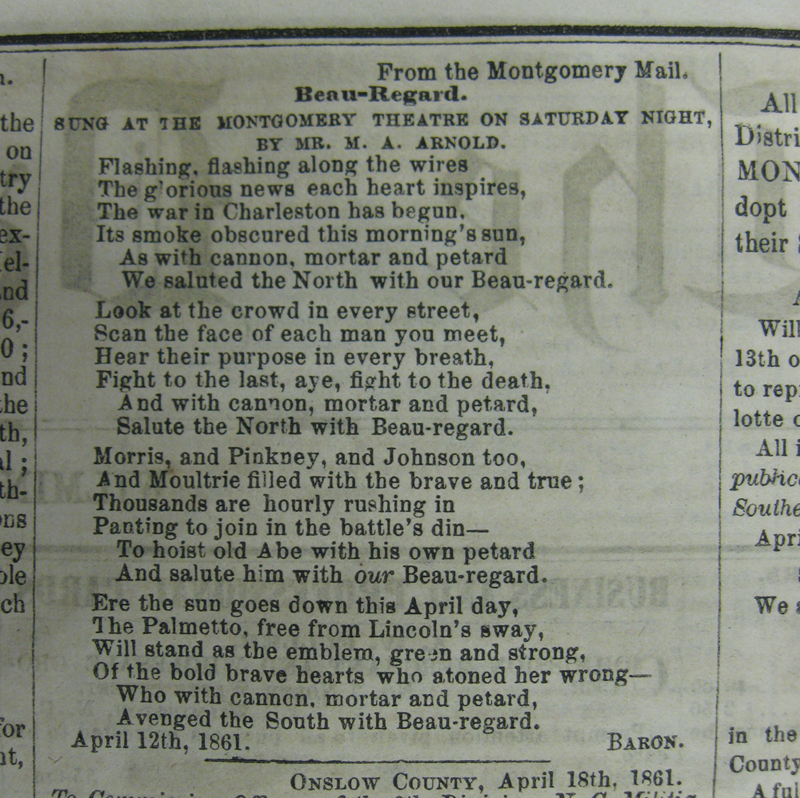 19 April 1861. Wilmington, N.C.: Fulton & Price. C071 W74jd. North Carolina Collection, Wilson Library, University of North Carolina at Chapel Hill. 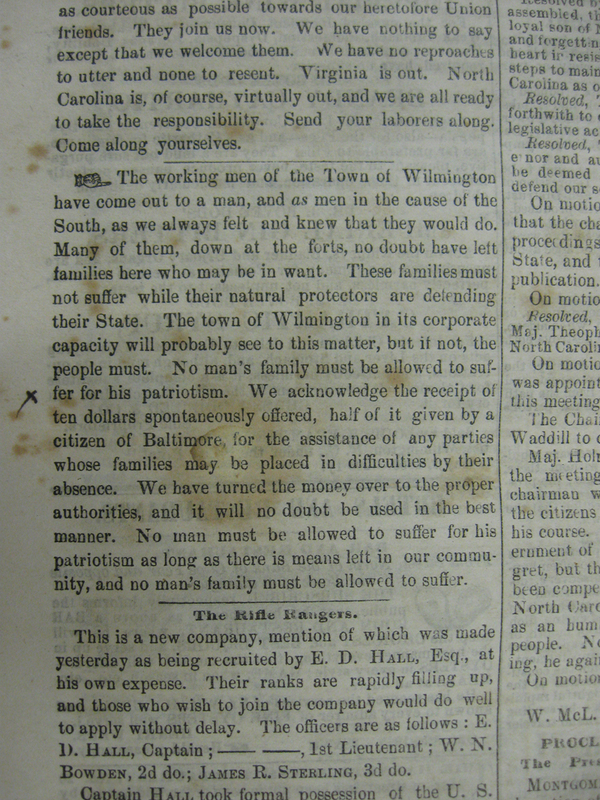 This entry was posted in North Carolina Collection and tagged Alabama, Fort Caswell, militias, mobilization, Montgomery, newspapers, North Carolina, slaves, songs, The Daily Journal, troops, Wilmington. Bookmark the permalink.